Yes that plant's nice enough, but does it earn its keep? I often work with clients who have small garden plots, as I do. One of them recently came back from a plant-buying expedition nearly empty-handed. Why? Because, she reported, she kept hearing me say, "Yes that plant's nice enough, but does it earn its keep? Remember, be choosy." Oops. I guess I made my point, though. I garden on a 50' x 100' foot lot and even though I'm "blessed" with a small house and wide parking strips that leave more space for gardening, I find that I don't have nearly enough room to grow everything that catches my eye. One of the ways I try to whittle down the possibilities is by putting plants through a scrupulous selection process in which they're asked to prove their worth--season in, season out. It boils down to a kind of goodness ratio--the larger the plant, the more rigorous the selection process. Put another way, I'm much more forgiving of a plant that occupies one square foot than I am of an 8' shrub that inhabits 64 square feet of prime garden real estate. And what I'm looking for in a big plant, like shrubs and trees, is all-season appeal. There are exceptions. After all, all work and no play makes for a dull garden, so I relax my standard somewhat if the plant is amenable to sharing space. For instance, a glorious spring-blooming shrub with passable but only so-so fall color and non-descript summer foliage might get a reprieve if it's an especially good host to a summer-blooming vine, such as clematis. Like anyone else, I fall prey to plant lust and often come home with a plant that I haven't thoroughly vetted. When that happens, I keep a close eye on the newbie for a season or so in the garden to see if it will pan out. If it doesn't pull its load, I'm not afraid to give it the boot. Select for foliage and form; I know, I know: duh. But it bears repeating: flowers are fleeting, but foliage endures. 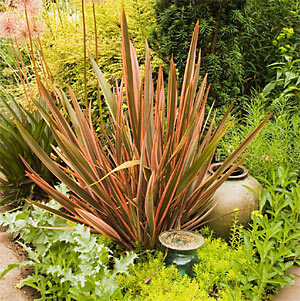 Selecting first for foliage and form is one way to really ensure you get a good bang out of the allotted space. Equally important are plants that are selected for their contribution toward structure and line. The hedges that define an enclosure, the rhythm and punctuation of strongly upright conifers--these are just a couple of ways that these sorts of plants help to define and unify a garden space. If you're growing Geranium ‘Johnson's Blue', I suggest swapping it out for Geranium ‘Rozanne'. She provides the same effect in the garden, but is a much more reliable doer. She just keeps on giving, often sporadically re-blooming into late fall in my Portland garden. Likewise, we all love peonies. I mean really, who wouldn't? They're easy-care, long-lived, no muss, no fuss. But how about taking it a step further and selecting a peony that displays good fall foliage color? By doing so, we've just added another season of interest to that part of our plot. In response to the ever-shrinking average garden size, there has been much emphasis on the development of ever-smaller sizes of lots of great garden plants. For example, oakleaf hydrangeas can be wonderful additions to the garden--bold, toothy foliage, summer bloom, reliable fall color, and interesting bark. However, some of the most popular cultivars, such as Hydrangea quercifolia ‘Snow Queen', can get quite large for our small gardens. I suggest ‘Syke's Dwarf' or ‘Pee Wee' instead. Both cultivars, selected for their smaller size, are well-suited to our city-sized gardens and have all the wonderful qualities of their larger siblings. I recently ripped out a lovely old-fashioned single rose, Rosa ‘Dainty Bess'. The reason? True to her name, she proved too frail for my garden. Continually ravaged by black spot, she could barely keep her leaves on through June. Roses that have made the cut include Rosa ‘Golden Celebration', a David Austin selection that's an abundant bloomer with soft yellow, intoxicatingly fragrant flowers on a reasonably disease-resistant shrub. The Knock Out™ series of roses that have been introduced over the last several years also have excellent disease resistance and provide reliable, easy-care, long-blooming performance--minus the scent, alas. Lest I come off as overly zealous, let me add this. 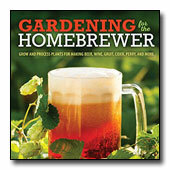 Small gardens don't have to completely forego the sport and fun that the occasional "one-season-wonder" provides. For instance, I dearly love my oriental poppies. But I also value their willingness to be cut down after their magnificent floral show in order to make room for the next contributor. And one of the reasons that I dearly love bulbs, allium and lilies in particular, is that they give so much and ask for so little space. Who knows, maybe someday I'll get that large piece of property in the country that I dream about. When and if that happens, I'm sure I'd revel in the new-found freedom that larger spaces afford. And I bet I'd be a little more patient and forgiving in my selection process. In the meantime, slackers & idlers be warned. A garden-sized tree with wonderful exfoliating winter bark, fabulous fall color and summertime bloom. Same attributes as above, but will take full blasting sun. 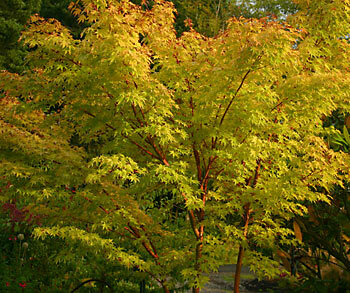 Select cultivars known for dependable fall color and attractive bark. I like 'Natchez', 'Miami', and 'Zuni'. Celebrated for its dramatic red stems in winter, fall color, and its graceful presence in the summer garden. An attractive vase-shaped shrub offering vibrant orange blooms in winter and reliable fall color. 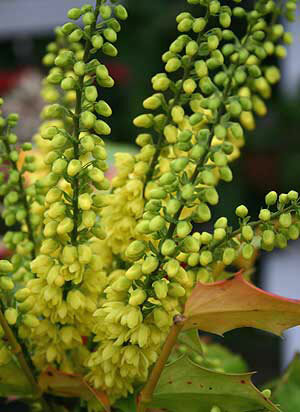 An unbeatable shrub for winter bloom and fragrance. Silky buds, beautiful in their own right, expand on bare branches to soft yellow, wonderfully fragrant flowers on this daphne relative. Finely cut evergreen foliage looks good year round. Fragrant white blooms in early season. A garden workhorse. Tough, shade and drought-tolerant, fragrant winter blooms, glossy evergreen foliage contributes all season structure. A super-tough shrub with toothy evergreen foliage. Vibrant yellow flowers in winter are a veritable hummer magnet. 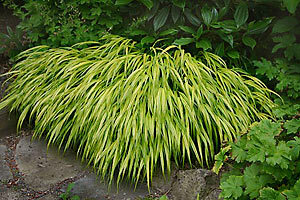 This slow-growing, downward-draping dwarf conifer contributes wonderful foliage color and texture. Bold, strappy foliage adds drama, verve, and color. I especially like 'Tricolor', 'Maori Maiden' and 'Platt's Black'. Ornamental grass that I've found to be relatively flop-proof. Finely textured foliage; fall flowers that hold up well through most winters. Looking good month after month; this graceful grass is a key contributor spring to fall. An excellent plant for repeating within the garden at strategic points; lends continuity and rhythm to the overall scene. Darcy gardens and operates a seasonal retail nursery in Portland, Oregon. Her company, Bloomtown Garden Design & Nursery, focuses on residential gardens with an emphasis on creating spaces for outdoor living and gardens that delight the senses year-round. 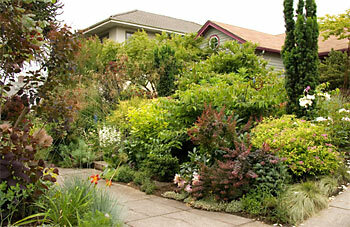 Darcy Daniels - Garden scene and phormium images photographed in author's Portland, Oregon garden. Copyright 2008, all rights reserved by author. Debbie Teashon - Maple and Oregon grape images photographed in Debra's Kingston, Washington garden and Japanese forest grass photographed in Lisa Albert's Tualatin, Oregon garden. Copyright 2008.